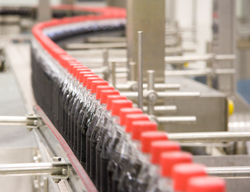 Following Malta’s entry into the European Union, The General Soft Drinks Co. Ltd faced some very tough decisions for its future as new legislation allowed the introduction of one way one packaging. The choice was to either become an importation and distribution company or retain a production status. Following an internal analysis plus a study by an audit company, the Board of Directors decided to invest €26 million in a new state-of-the-art production facility. The investment was also endorsed by the Chairman and CEO of The Coca-Cola Company (Mr Neville Isdell) who was the first TCCC Chairman and CEO to come to Malta.